Social media 7up spot shot in our studio. Key Grip. Sam Morgan Moore. 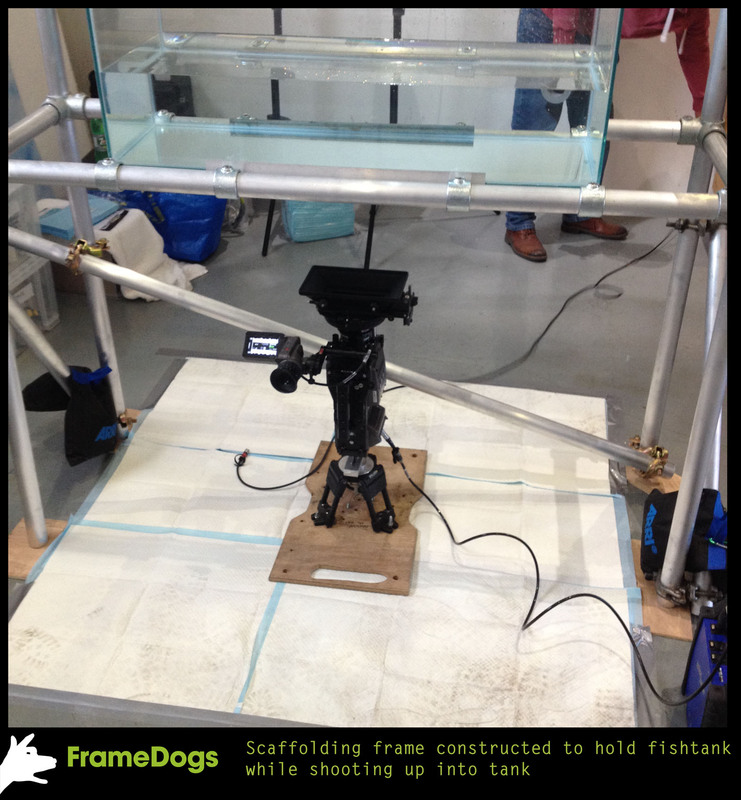 Sam designed and built the scaffolding platform to hold the 100kg water tank over the Arri Amira camera, our ‘Big L’ allows the camera to point straight up while still levelling on our 100mm bowl system, the camera was mounted on our Miller HiHat and board. Camera rigging is part of our Crew and Kit service.